Flutters about and grooms face. Poisons the target for 118 Beast damage every round for 6 rounds. 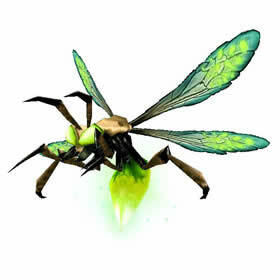 The target is stung, dealing 59 Flying damage every round for 5 rounds. Pet collecting on darkmoon, snagged me a rare (x2) of these. Loads of greens were around and a few uncommon with no-crow ads :/ (ended up getting crow too btw which was nice). so i just learned to fly. lvl60. and i notices that my darkmoon glowfly fly's along side of my mount. im pretty happy that i have a pet like this lol. most of them you normally need to buy from a blizz store. Pet battle addons will sometimes show this pet as "???" breed at level 1. This seems to be because the H/B and H/S breeds have the exact same stats at level 1 (158/10/12). Once you level them up to level 2, you should be able to see what breed it is. Either way, you can be sure it's not a B/B or P/B, as those have different stats at level 1. I'm new to the whole pet thing, but I started working on these guys to get a crow, lots of bad luck there, but that's a different issue. I've gotten a few rares now and they seem to be pretty good pets. I have a question though, I have the battlepet mod that shows what type of pet it is, and there was one Fly I bumped into a few times that was ??? instead of B/B or any of the others. Is this a glitch with the mod or is there something to this being a ??? ? i got my uncommon darkmoon glowfly tonight, and will return to try for rare tommorrow. Darkmoon Glowfly now comes in all Qualities. Just got my rare, after many battles. The Crow is also capturable now. There levels seem to change from between 1 - 11. I have not seen higher. And there secondary pets to the battle can be Adder, Cockroach, Crow (rarely it seems and I have only had poor quality so far), sea gull and rat. I catched a rare today lvl 9 with 597 health as 1 Pet. The secondary pet was a crow. Captured a rare lv5 darkmoon glowfly off the side of the road, was a secondary to another glowfly (poor). At lv 5 it has 389 HP, 49 attack, and 61 speed. 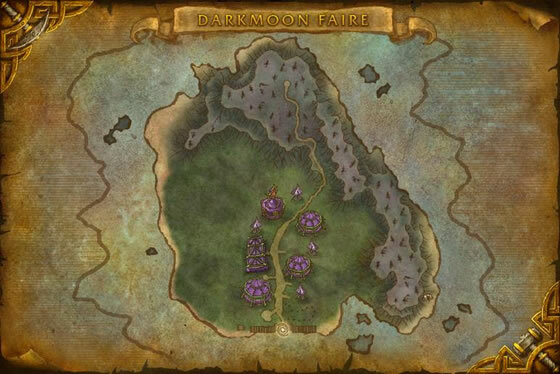 Just captured a rare lvl 10 if you jump off the road to the left once you pop into darkmoon there are 4 or 5 glowflies. My rare was the very last glowfly before you reach the edge. I just used slowfall to get back to the faire and ran back up again to the portal and did it again. This time looking for a rare crow. Only grays so far. The cool thing is the glowflies were all back up already so the spawn time is awesome :D happy hunting!! Lvl 10s are possible and currently top lvl. Only found uncommons. update: After Tuesday maintenance (12/4/2012), Crows are now capturable; although having issue with finding them, only found 1 so far (poor). I can confirm that these only come as Uncommon. Also found a crow lvl 10 uncommon and couldn't catch it. I hope blizz fix this quickly enough to not have to wait one month to get my Crow or a rare Glowfly. Their eerie green light, reminiscent of fel flames, is occasionally seen flitting through the twisted trees of Darkmoon Island.